Environmentalist joy at the cessation of Alaskan offshore oil exploration is in fact the result of the overall striking intensification of global oil extraction. 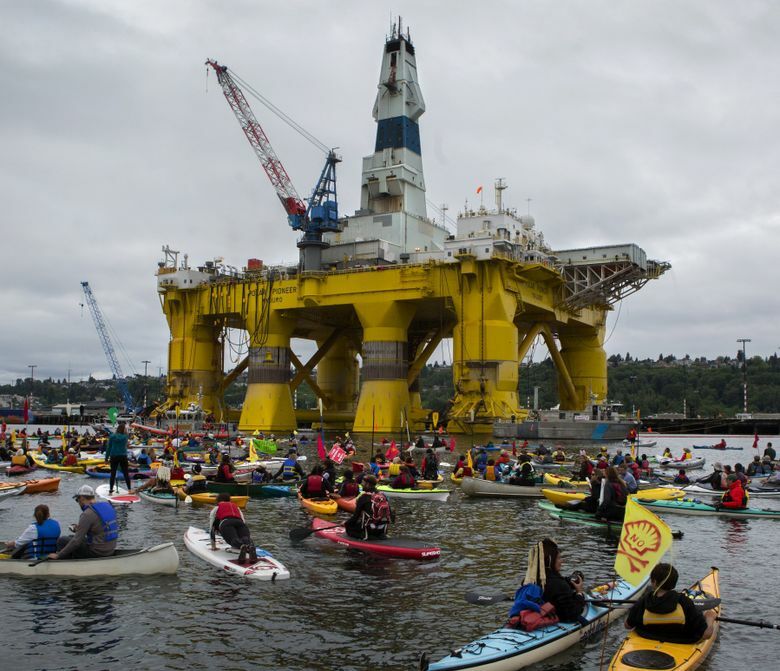 For months, groups like Greenpeace had been doggedly protesting and fighting Shell’s Arctic operations through rallies, kayak blockades and numerous other vocal, physical and legal means. Activists even engaged in what might qualify as piracy when they boarded a Shell oil rig, ultimately destined for Arctic oil exploration, in the central Pacific Ocean. Following such extreme and arduous undertakings, it no doubt seemed like a much-deserved win when Shell decided to exit the Arctic. But, upon closer inspection, this supposed triumph is actually quite hollow. Essentially, Shell halted its Arctic oil exploration because the current economics of such activity just don’t make sense. It has burned through roughly $7 billion so far in its Arctic ventures and the drilling results from Burger J convinced it that, for the time being, expected returns on this investment do not justify further expenditures. It wasn’t Arctic environmental activism that did it, but simply the typical corporate motivators of risk and profit. Moreover, the ultimate foundation of Shell’s decision matrix is actually incredibly detrimental to the very environmental interests that groups like Greenpeace claim have been furthered by the company’s Arctic exit: the low price of oil. At the current price of roughly $45 for a barrel of crude oil, Shell has determined that costly Arctic investment isn’t prudent. But at a certain higher price point, the company would feel that high Arctic investment would be worth the ultimate returns. And the thing keeping these prices down is a glut of oil on the international market from dramatic increases in production elsewhere — mainly, shale oil reserves in the continental United States. Thus, environmentalist joy at the cessation of Alaskan offshore oil exploration is in fact the result of the overall striking intensification of global oil extraction. The spearhead of environmental opposition to Arctic oil operations is that “Arctic oil must be kept in the ground in order to have a chance at keeping the planet safe.” But although less crude will be coming out of the Arctic in the short-term, this is because more is currently being pumped out elsewhere. This situation makes Shell’s cessation of Arctic operations a pyrrhic environmental victory. Andreas Kuersten is a fellow with the Arctic Summer College. He previously worked for the National Oceanic and Atmospheric Administration on Arctic projects. His work has been published in Foreign Affairs, Forbes, The Hill, among others.